There is no .sh as a script to run in the files, it seems to be missing. Do you confirm, and if yes can you change this ? 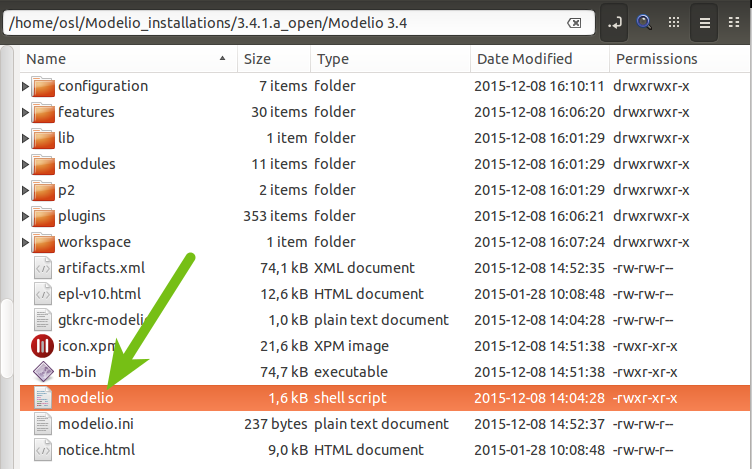 The executable is "modelio". There is no *.sh script.